This set of photos was taken on December 16, 2016 at 7:06 AM. The location was at my home office desk in my home in Bethesda, Maryland. The "Take It!" 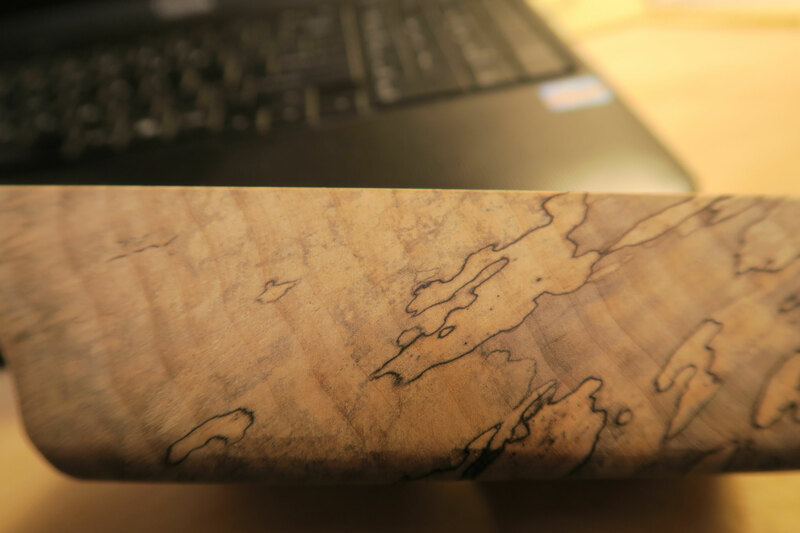 came after having shown this piece of wood to a number of those great people who are generous with their time in listening to some of my very different ideas, and are kind enough to give me their candid assessments. 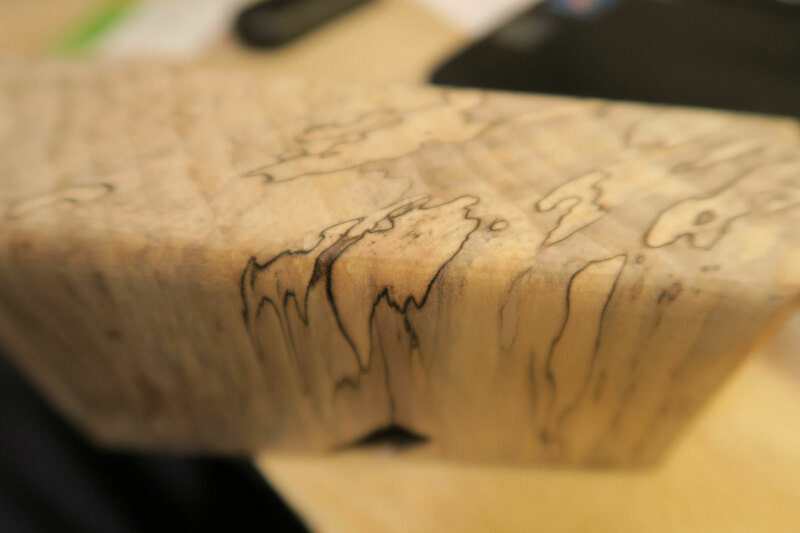 Their reactions were to be as amazed as I was in how a simple set of steps, transformed this piece of Poplar wood from a block of wood that was on the edge of being tossed into the trash, to a piece of near magic, that we each were able to hold in our hand. 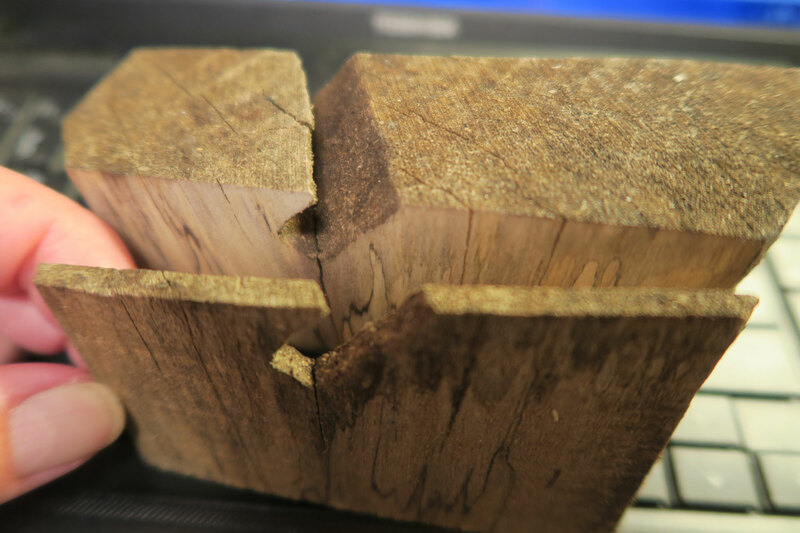 One can quickly see from the first photo, this was a piece of wood that had been cut from a larger "slab" in order to even up the end of the larger slice of wood and make it more manageable. For what reason I do not know, I kept this piece of wood that measures about 7 inches in length, two inches in thickness, and a taper from approximately two inches at one end, going to about three, on the other. What intrigued me, was the small indentation made on one surface by a chain saw. This piece of wood, knocked around in my house from place to place and somehow, just never got thrown out. Until, one day, I bought a very cool precision 12 inch circular blade, made in Japan, which produces an unbelievably smooth cut when used on my miter saw. A fresh cut using this blade renders a surface that feels like it has already been sanded with the finest grit sandpaper. For a trial run after installing this blade on my saw I took off a slice from this scrap of wood. The end result of the smoothness on the cut surfaces, matched the promise of performance made to me by the non pressure sales person at the woodworking store I frequent. 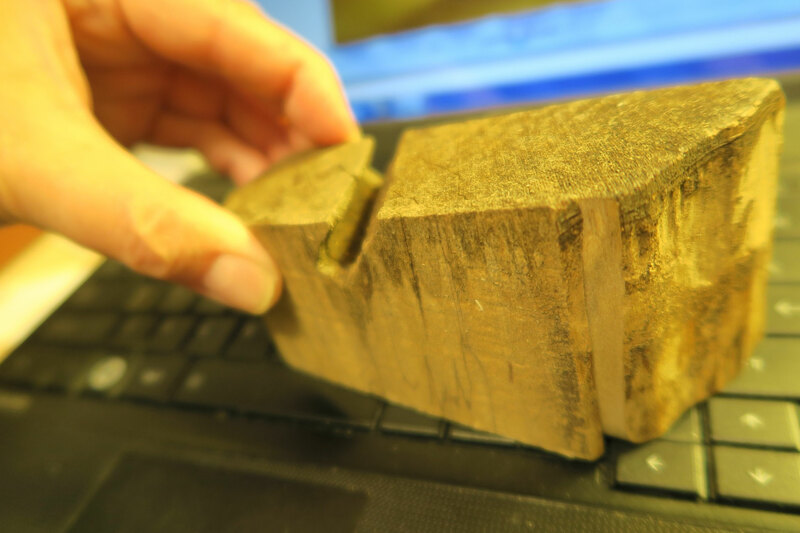 Now, I had the block of wood and its slice that somehow were kept together, and were put into the bounce around informal program I sometimes use, when I am not certain of what to do with something, but have a sort of subconscious feeling to not throw it away. What happened, was the encounter with a higher level of finishing sandpaper than I had ever seen before. I bought a belt of this 220 count sandpaper for my table top, sanding machine. Short story made long, I installed the new sanding belt and decided to give it a trial run using the block of wood that had become a sort of domestic vagabond. The transformation was slow, which came about being very careful as small pieces when on the sanding surface of the machine, can sometimes if not properly held, catch in the grit of the belt and go flying off everywhere in my shop. The change was a wonder to have my hands be a part of. I decided to make a larger than usual curve to the edge, just to take advantage of the incredible smoothness that was coming to the surface. I had no idea it would result in returning some of the figures, now available for us to see in this spaulted piece of "Wonder Wood." Please join me, as we look at what this long journey, to this point, "hath wrought." The first, is the super hero on the top of the wood, who is in flight with his cape flying parallel to his back. He seems to have a flame thrower in full blast in his hands, adding further drama to his appearance. The second is a small deer, which we are able to see from the rear, with its tail upright, and the legs and body in a wonderful state of proportion. His head is also well enough done to make this a sincere delight to return to, for yet another look. Last but not least, is a portion of the head of an elephant. He is immediately to the right of the deer and is showing his trunk along with a portion of his face which includes an, eye. The greatest part of all of this is, in the relating of the story, having the listener hold the piece in their hand and slowly move it to better see what my verbalized accompaniment brings to their view. It is the shared invoking of the imagination of our inner children. The After Take: Has been yet another seemingly uncomplicated unfolding of a long in the making story I have had the privilege to share. Nature really does provide some beautiful artwork. 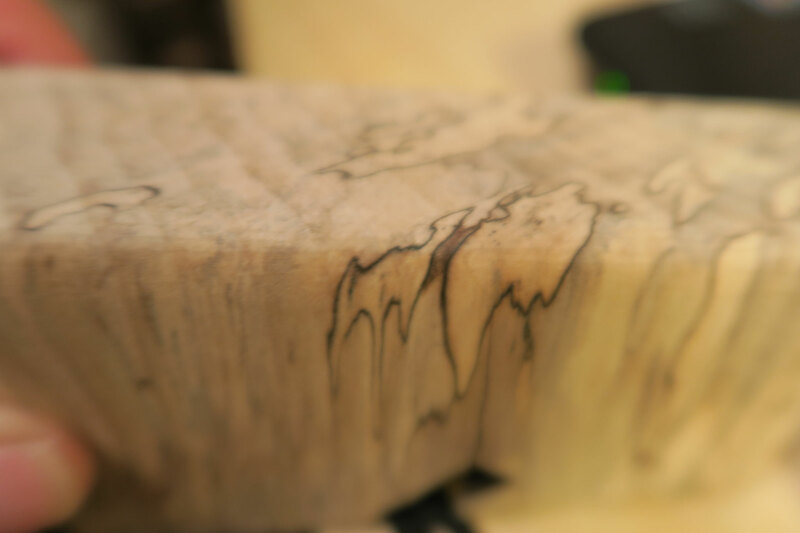 Its amazing how it just looks like normal wood on the outside but when you cut into it you were given such a spectacular showing. Thats crazy you got those cool designs from a random piece of scrap wood that would have otherwise been trash. I have a really old clock made from some type of wood that has similar designs on it. I immediately thought of it when I saw your pictures. Wow, how cool is that!? Lol my kid thought you took a pen to it. Gotta love it when a blade removes tedious hours worth of sanding. I always use good blades for that very reason. I was fascinated when I saw this because I have never seen anything like it. "GeorgieProf," who frequents the site with us and has lunch with us daily happens to be the science teacher here. He, of course, knew what it was and explained it. Its very pretty though, I imagine it could have the same theory as a snowflake; each one is unique.